There is never a dull moment in the Petting Zoo at Crown Valley Youth Ranch! With the Alpaca Team, comprised of Chewbacca-(aka ‘Chewie’ ) and Kramer, leading the way in the ‘Social Butterfly Club”, our surrounding community has certainly been entertained and thrilled to meet and greet these fascinating creatures. They love to frolic and play with the goats, sheep, potbellied pig and to curiously gaze at the bunny rabbits! They have made us beam with pride and joy by being involved in the Harvest Festival at Crown Valley Youth Ranch in November, the Visalia Candy Cane Lane Parade and Woodlake Christmas Parade, and a cameo appearance at Heart of The Valley Church Christmas program. Frequently mistaken as llamas, these fascinating and marvelously handsome creatures have captivated the hearts of kids and adults alike. 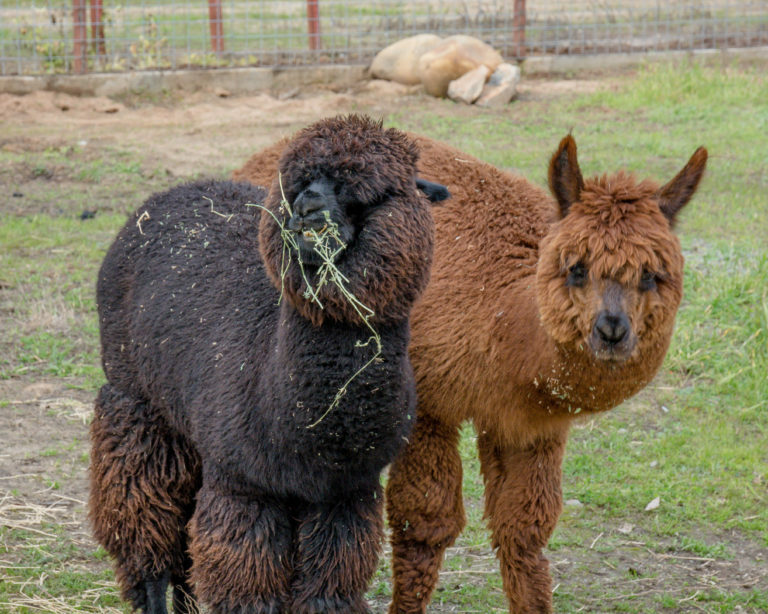 Alpacas are considerably smaller than llamas and were bred specifically for their hair fiber which is knitted and woven into a variety of items including ponchos in South America and sweaters, socks, coats and bedding in other parts of the world. Alpaca fleece is lustrous and silky and while similar to sheep’s wool it is warmer, not prickly and bears no lanolin, which makes it hypoallergenic. We appreciate our wonderful volunteers who have leash-trained our irresistibly intriguing alpacas! 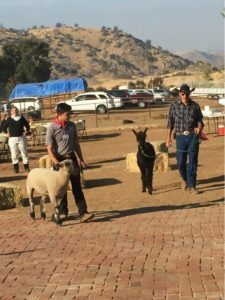 Call Crown Valley Youth Ranch to come on by for an exciting visit to our Petting Zoo!